As I wrote in an earlier article, “Top 5 dangers every officer faces during a pursuit,” pursuits are inherently dangerous. You may very well work for an agency that has a no pursuit policy. However, if pursuits are sanctioned in your jurisdiction, this article on writing your police report after a pursuit is for you. We focus a lot of attention on what happens during the pursuit, but what about after? 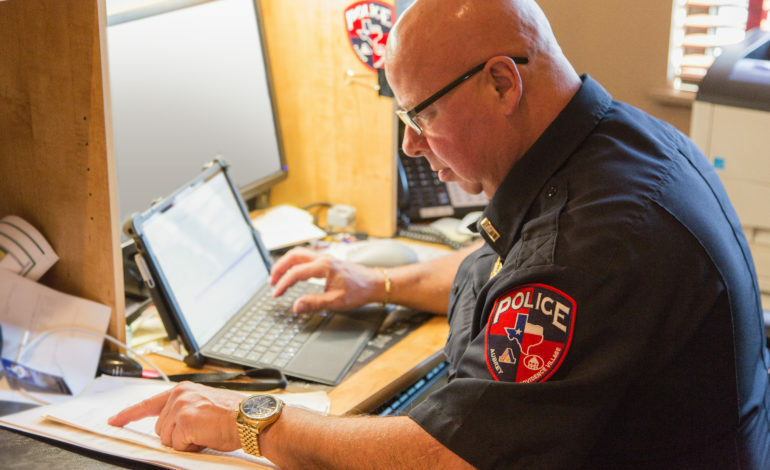 Once the action is through and your adrenaline returns to normal, you are left with every cop’s favorite part of law enforcement: report writing. Your first step is to know your agency’s pursuit policy. Keeping this policy in mind as you document the pursuit is important. With that in mind, here are eight keys to writing your pursuit report. Training is the place to make mistakes. Departments are required to have EVOC and pursuit training. Whether on a physical course or in a simulator, the best place to make mistakes is when there aren’t any actual lives on the line. Improving your driving skills, minimizing tunnel vision, controlling your breathing and being aware of your surroundings are all goals of training. Why not incorporate report writing as part of a simulated pursuit? The more we practice something, the better we get. If your agency provides you with a dash-mounted camera, body-worn camera or both, if your agency policy dictates you can, take the time to review the video before and during your documentation. Human memory is a fickle beast and easily influenced by several different sources. For the purpose of jogging your memory as to what you observed, said and did during a given pursuit, the camera is hard to beat. Just like any other report, your narrative needs to tell a story. Avoid jargon, but if it’s unavoidable, explain it in simple terms your gramma can understand. Remember, you’re not writing this to impress your boss…at least not primarily. You’re writing this for a potential jury that doesn’t understand much about police policies or tactics. The narrative should be chronological in nature. Don’t follow some Hollywood screenwriter’s desire to set the hook with an exciting instance and then throw in “five minutes earlier.” You’ll only confuse them. Start at the beginning and work forward. Requirements vary, but each state requires patrol vehicles to look and sound a certain way. For example, in California, you are required to have a steady, forward-facing, red light. Other states use blue. Some states require a siren to be used as needed, while others demand a siren be active. The point is that if your setup doesn’t meet your state’s requirements, you just wasted a ton of time chasing someone that wasn’t required to yield to you because you didn’t verify your vehicle was fully operational before your shift started. Make sure you document that prior to the start of your shift, you conducted a brief vehicle inspection and verified all your emergency lights were operational, as was your siren. If you want bonus points, go the extra mile and be even more specific about the markings on your vehicle, the light bar setup (external vs. internal), and the decibel level of the siren. These things should be a clue to the individual you’re chasing that you’d be super pleased if they’d pull on over. In addition, documenting that every other car on the road got out of your way shows that someone not intent on running would stop for you. Not only are you going to have to answer this question over the radio with alacrity when your supervisor asks, pursuits are fluid and the balance between catching the bad guy and protecting public safety is a teeter-totter ride. With that in mind, you’ll constantly be building a case of why the pursuit continued. As the pursuit continues, your reasons may multiply. It’s imperative to include them all in a cohesive manner (refer to #2). Your report is merely a written documentation of your thought process during the pursuit. Keep in mind, not every pursuit ends with someone in custody, but they all get documented. You need to express in written words why you decided to continue the pursuit and how the benefits outweighed the risks. This is the part where reviewing video can be immensely helpful. It doesn’t matter how great your memory is, you are likely to miss aspects of this event, particularly if it’s a longer pursuit. Watching the video will allow you to document each and every violation the suspect commits. And you need to document them all. Each violation goes further than the one before it to show the suspect was not only aware of your presence, but actively attempting to evade you. As you document each of these violations, you’re also showing your mindset. If, at some point, you decide to terminate the pursuit, your documentation of each of these violations, combined with your healthy concern for public safety, will go far to exemplify your understanding of your department policy. Getting the suspect to admit they knew you were there is a massive hurdle to overcome. If you can get on record the suspect admitting to that, your battle is already halfway won. It seems today that it’s an uphill battle for those of us in the streets to get any kind of satisfaction from the DA’s office when it comes to actual prosecution for the case we present. Obtaining an admission can help strengthen the possibility of the suspect receiving some comeuppance for their actions. If your jurisdiction utilizes StarChase or some similar technology to minimize potential civilian or law enforcement casualties inherent in vehicle pursuits, you may locate the vehicle through digital means. In that case, report writing is as simple as narratively explaining the steps through which you ultimately relocated the suspect vehicle. If the tracking technology allows it, you can print out and attach a detailed report of the event to your written documentation. What do you consider when documenting your pursuit? Jason Hoschouer is a law enforcement officer with an agency in the San Francisco Bay area in California. 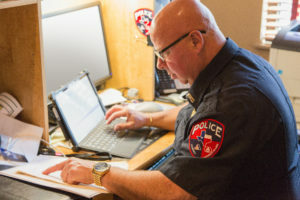 In addition to patrolling the streets as a motor officer, Hoschouer helps fellow LEOs with financial coaching through his company, The MotorCop Mindset. (For more information, text “DebtFree” to 66866). Jason has been blogging under the pseudonym “Motorcop” at motorcopblog.com since 2008 and also hosts a podcast, The Crossover Show, with a San Francisco FireFighter. You can connect with him on Facebook or via email.